Orange County Ear Allergy Nose & Neck (OCEANN) always appreciates feedback from our valued patients. To date, we’re thrilled to have collected 8 reviews with an average rating of 5 out of 5 stars. Please read what others are saying about Orange County Ear Allergy Nose & Neck (OCEANN) below, and as always, we would love to collect your feedback. Excellent, Excellent, Excellent! Highly recommend! Dr. Yu and her staff were very welcoming and turned an otherwise painful procedure into a pleasant experience. Top notch work and great follow-up. I will refer all friends and family. Very good patient care and manner. Timely. Thorough. Strongly recommend. Dr. Yu has done and amazing job with me and my son! Great staff and Superb Doctor! Spends a lot of time with each patient understanding their problem! The Doctor has great credentials! 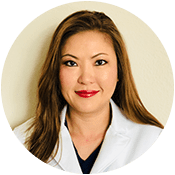 Dr. Yu-Syken listens to what is wrong with you and is also very compassionate. Highly recommend Dr. Yu-Syken. Signed, A Very Happy Patient! Dr You and her team have taken care of my baby since she was 8. We would follow her wherever she goes.